she designs some fabulous stamps for us, too! Please read on to learn a bit about Michelle! 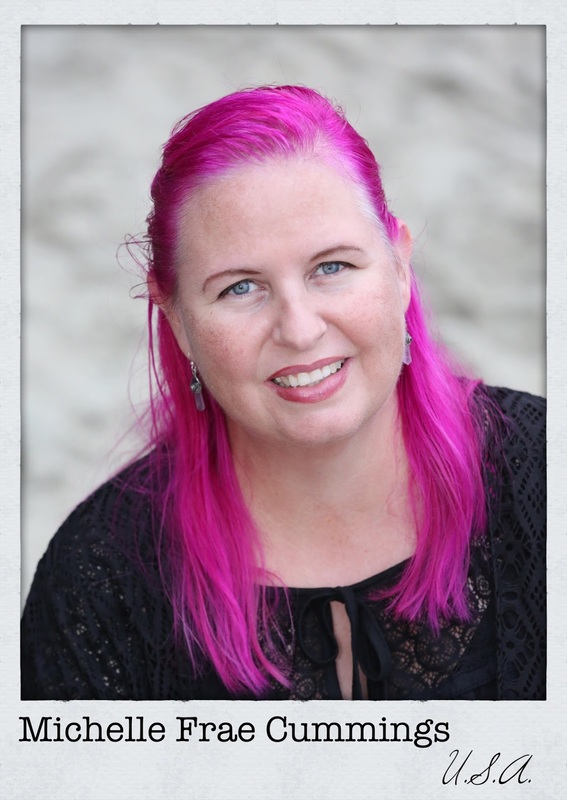 Michelle is a mixed- media artist, instructor and freelance writer. She lives with her husband, Brian and son Dyllan in sunny California. public groups,and sells her art locally and online. Michelle’s passion is color. Whether she is painting with it, sewing, wire wrapping or planting it in her garden, she’s content. It’s how she expresses her dreams and inspirations.